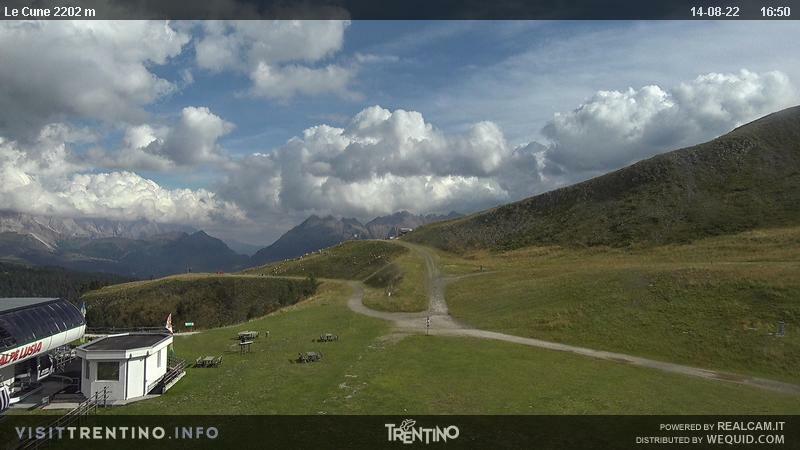 It's easy to find parking in the car park at the starting point of the new gondola lift at Ronchi which takes visitors, in a few moments, through the spectacular scenery of the Catinaccio-Rosengarten to the door of the Valbona-Chalet, set in a splendidly panoramic position. The arrival area is covered and easily accessible. The chalet has been completely renovated: wooden decor and exposed beams create a warm and welcoming atmosphere in which to enjoy the self-service restaurant, pizzeria, American bar, or those seeking a more sophisticated dining experience can eat à la carte in the characteristic wood-panelled dining room or 'stube'. The newly welcoming building offers something for everyone from the most sporty who love to eat well and quickly in the self-service restaurant, to bon viveurs who prefer to indulge the palate eating à la carte. The oysters are really fresh! On Sundays you can dine on the panoramic terrace. Events and themed meals can also be arranged. Bar, restaurant, à la carte dining room, self service, snack bar, pizza.